Finding time to relax and pamper one’s self is what vacationing is all about; just imagine if that were also true for your second home in the sun! At Villa La Estancia Residences’ Tatewari Spa in Riviera Nayarit, Mexico guests and property owners are encouraged to indulge in a variety of spa treatments designed to sooth the senses and replenish the spirit. This haven for relaxation is the ideal location for those looking to reconnect with their inner peace while indulging in a series of world-class spa treatments and state-of-the-art facilities. Boasting more than 17,000 square feet of pure bliss, the Tatewari Spa is the embodiment of peace and tranquility, named after the Huichol Indian god of healing. Here we will help you keep your mind clear, pure spirit and body strong. With separate men’s and women’s hydrotherapy centers, each complete with a cold plunge pool, cold pressure showers, a steam room and other amenities, relaxing both before and after your spa treatment is inevitable. The world-class spa also features 14 indoor treatment suites, two VIP suites with private Jacuzzi’s and a shower, and a full service beauty salon. 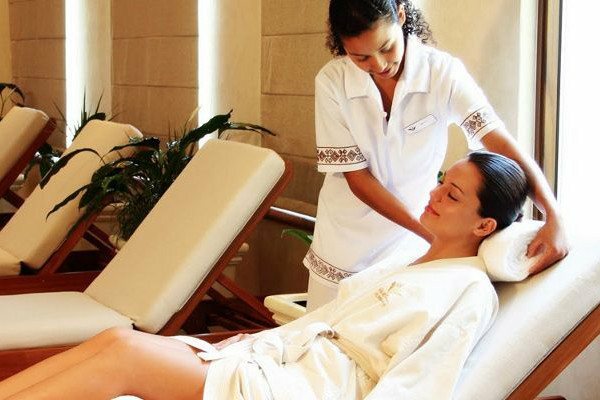 Each area of the spa is run by highly trained professionals who make it their priority to ensure your visit invokes a state of pure tranquility and soothing spiritual growth. Spa goers can indulge in the complete spa experience with a variety of relaxing massages, soothing facials, and an array of other body treatments designed to induce a state of mental repose. Let the stresses of everyday life drift away during the Tatewari Signature Spa Ritual, which invites guests to relax in an ambiance fit for pleasure and indulgence, honoring the region’s Huichol Indian traditions with its luxurious signature treatment that indulges the body, mind and soul in a unique ritual just for you. Another one of the spa’s divine treatments is the Pacific Ocean Pure Body and Face Revival Therapy. For 85 minutes, guests are invited to indulge in the ultimate body and facial treatment, which combines Ayurvedic hot oil, steaming stones and a cooling hydra dew facial that will have you feeling rejuvenated and looking younger. The deep moisturizing qualities of this treatment work to protect the skin from the effects of Mother Nature’s elements, while awakening your senses and renewing your spirit. The myriad of indulgent spa treatments and calming environment of the Tatewari Spa work together to provide guests with an unrivaled spa experience. Join the experienced staff on a journey of pure relaxation that will have you wishing you never had to leave. You’ll be glad to call Villa La Estancia Residences your home after just an hour in the Tatewari Spa.